This is an excerpt from a short documentary on the making of The Stranger. The full-length and mini versions of the documentary come with the boxed set of The Stranger 30th Anniversary Edition. 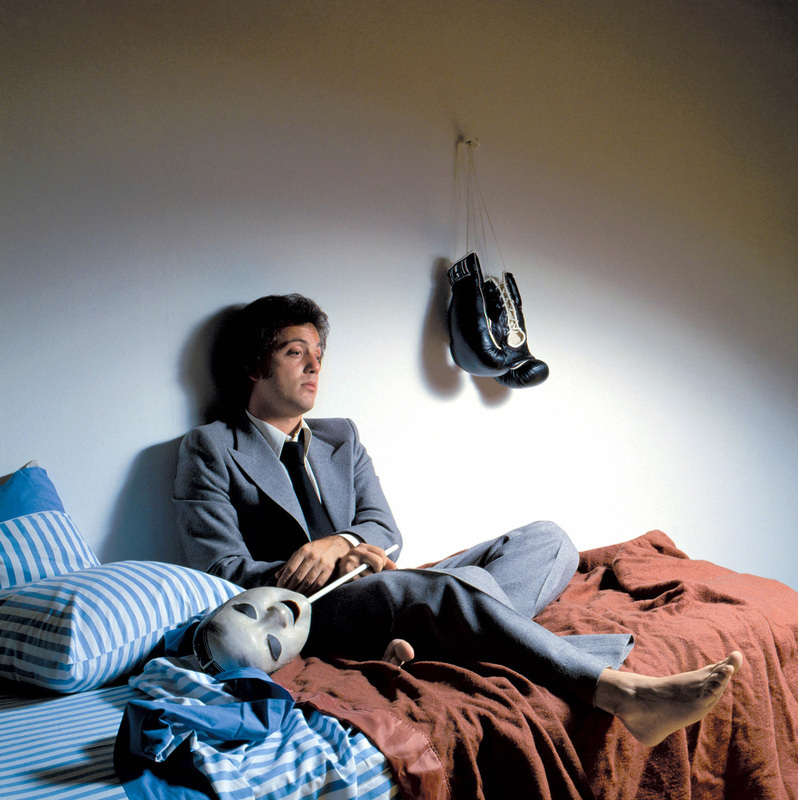 The Stranger, Billy Joel's fifth solo album, was his artistic and commercial breakthrough. Released in September 1977, it went on to become Columbia Record's best-selling album of all time, surpassing Simon & Garfunkel's Bridge Over Troubled Water. Billy teamed up with producer Phil Ramone, who was the first producer to embrace Billy's regular band, and it was a perfect match. The single "Just The Way You Are" won Grammy awards for Song of The Year and Record of Year, although it almost never made it on the album since Billy and his band originally thought it was too sappy. "Movin' Out, "Only The Good Die Young," and "She's Always A Woman" became hits as well, and the album gave us two of Billy's best songs: "Vienna" and the epic "Scenes from An Italian Restaurant." Having returned to New York in Turnstiles, Billy embraced and wrote about what he knew best, New York and New Yorkers (including greater suburban New York). He wrote about the folks who work hard all their lives just to get a place in Hackensack and the disillusionment with that life ("Movin' Out"), the young turks trying to get a girl ("Only the Good Die Young"), and old friends reminiscing about Brenda and Eddie, and what was and should have been ("Scenes From An Italian Restaurant.") In between, Billy explored the complexities of relationships ("The Stranger" and "She's Always A Woman"), and wrote a love song for the ages ("Just The Way You Are"). He gently exorted us to slow down and take in life ("Vienna") and closed with a gospel-like prayer about the virtue of love ("Everybody Loves A Dream"). The Stranger was a pop masterpiece, a defining album of the 1970s. The album struck a chord with people of all generations and backgrounds. The Stranger captured and encapsulated our hopes, dreams, worries, memories, and emotions like few albums had. Most people, fans and critics alike, consider this to be Billy's best album and one of the all-time best pop albums. Rolling Stone ranked it #67 on its list of top 500 albums of all time. I would rank it even higher. 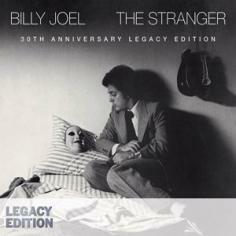 The special 30th Anniversary Legacy Edition of The Stranger (below) was released in 2008 and consisted of re-mastered versions of all songs on the album. The Legacy Edition also featured a second CD disc with a re-mastered version of a concert in June 1977, Live in Carnegie Hall, featuring songs from that concert. 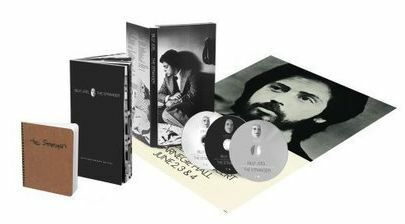 The boxed set edition of the Legacy Edition also contained a DVD of Billy's television concert in the UK from 1978, Live on the Old Grey Whistle Test, which also contains a short documentary about the making of The Stranger. This was a very well-done product, one can tell that Sony Legacy really put considerable amount of thought and effort into it. It was a befitting way to recognize what has become an iconic album for the Baby Boomer generation, and other generations. Read more about it here including the Nassau concert 1977. 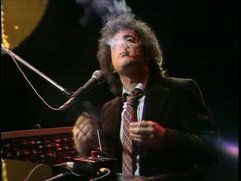 Listen to an in-depth "Inside The Studio" interview with Billy Joel in 1977 about The Stranger. Listen to an even more in-depth series of podcasts on The Stranger celebrating the 30th anniversary of its release. The boxed set included a lyric book in Billy's handwriting, a CD and post of a Carnegie Hall coert from 1977, and a DVD of Billy's performance on UK television from 1978. The Legacy Edition box set had color photos of The Stranger photo shot. Photo by Jim Haughton. 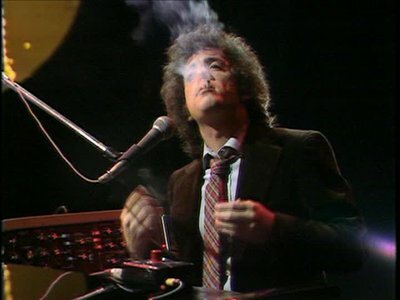 The DVD in the boxed set of The Stranger Legacy Edition is Billy's concert on the UK's The Old Grey Whistle Test in 1978. The DVD alone is worth the purchase of the boxed set. The Legacy Edition also included a second CD of Billy's performance at Carnegie Hall in 1977 just one month before the release of The Stranger. He performs "Just The Way You Are" and "Scenes From An Italian Restaurant" to the enthusiastic audience.